Badhaai Ho has emerged as a Superhit in its extended first week. The film collected a mammoth 66 crore* which is just superb if one looks at the scale, size, cast and release. This was a medium budget film with an actor who has just delivered his first 50 crore club and had released on half the count of screens that a major big budget star driven film usually does. Still, the results are just awesome with collections truly hitting the roof. The film opened well, grew tremendously over the weekend and then had very stable weekdays too which allowed the numbers to be super strong. It is now bound to have very good second weekend too and that would be the deciding factor around how soon is the 100 crore milestone achieved. Of course it would be a remarkable feat if that happens in the second week itself but rest assured, the milestone is there for the taking during the third weekend at least. Aamir Khan’s Thugs Of Hindostan Censor Report, Run-Time, Screen Count And Other Details! On the other hand it is curtains now for Namaste England. As was expected, the film is no more in the running during the second week as the first week itself has resulted in extremely disappointing collections of 8.25 crore*. This is truly disastrous as the eventual lifetime won’t even reach 10 crore. All that one can hope for now is that everyone associated with the film moves on to their next project and delivers a success for themselves as well as the audiences. 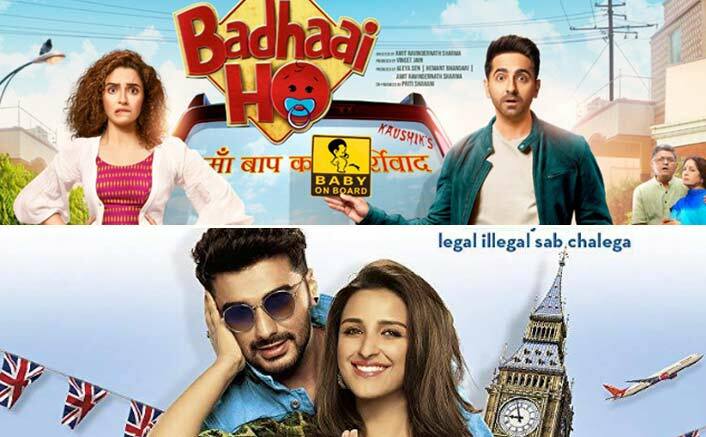 The post Box Office – Badhaai Ho Is Superhit, On Its Way To Being Blockbuster, Namaste England Folds Up appeared first on Koimoi. Namaste England Box Office Day 1: Has A Very Poor Opening Day!